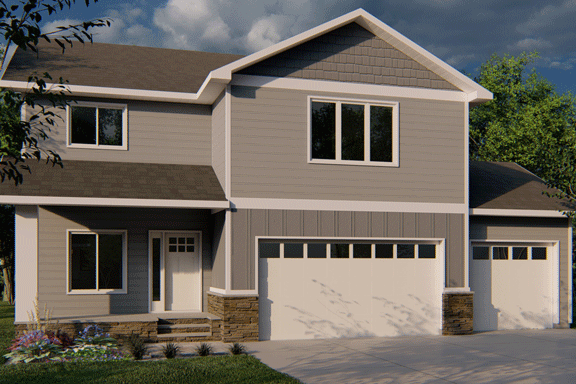 See our new 2-story design featuring 4 bedrooms upstairs, each with its own walk-in closet! This home features 4 bedrooms, 2.5 baths, main-floor office, custom fireplace, engineered hardwood floors, gourmet kitchen with huge walk-in pantry, quartz countertops, stainless steel appliances, painted/cherry cabinetry, tiled shower, dual closets in master, upstairs laundry, wide, painted trim and a huge backyard! The basement is framed for 1 more bedroom and bath, theater area and wet bar.